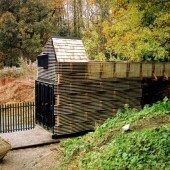 This was Sheffield School of Architecture’s fifth Live Project at the old sawmill site in Ecclesall’s ancient woodland. 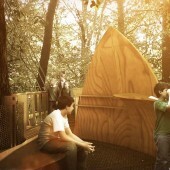 The project included both the construction of a lookout and the design of an elevated walkway through the forest canopy. 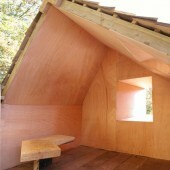 The lookout was shortlisted for the AJ Small Projects Awards. 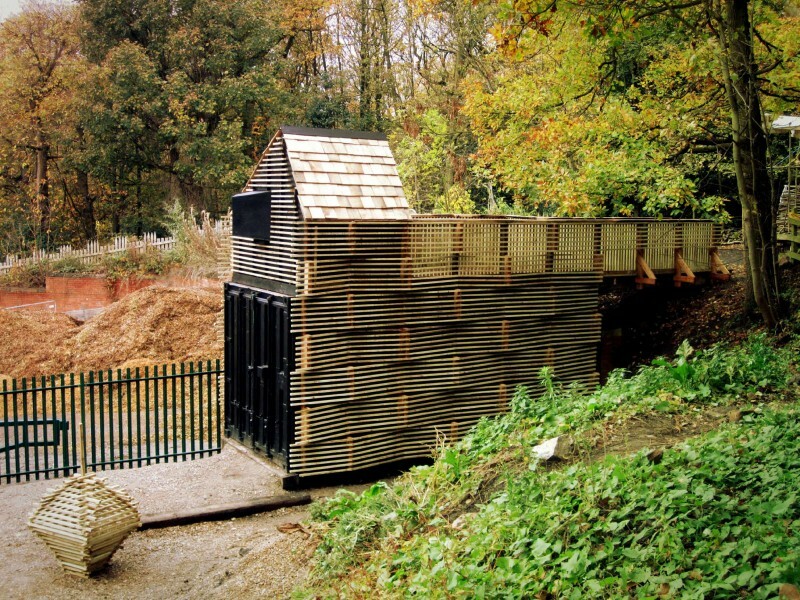 The project built upon an established relationship with the Sawmill to support the client’s ambition for the site, aiming to create a place for the promotion of local craft and innovative use of timber in construction whilst educating a new generation of young citizens and professionals about traditional ecological practices. Both parts of this project will help the client to develop its capacity to host and entertain visitors through new and established public programmes. 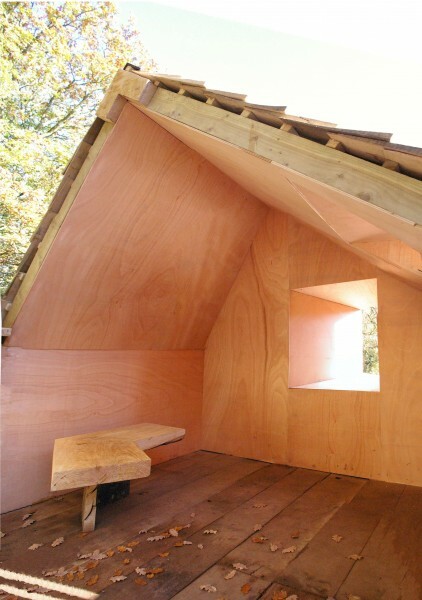 The prototype lookout enabled the client and design team to test ideas, developing a common design language that could be applied to other projects, whilst the strategic vision and accompanying reports provided material that could be used to approach funding bodies and future project partners. Students involved in the project gained a crucial awareness of techniques and processes involved in timber construction, the process of design through making and learning how to effectively publish design work as a useable resource for the client. Research question: How can a prototype construction both demonstrate skills and facilitate the training of those skills?